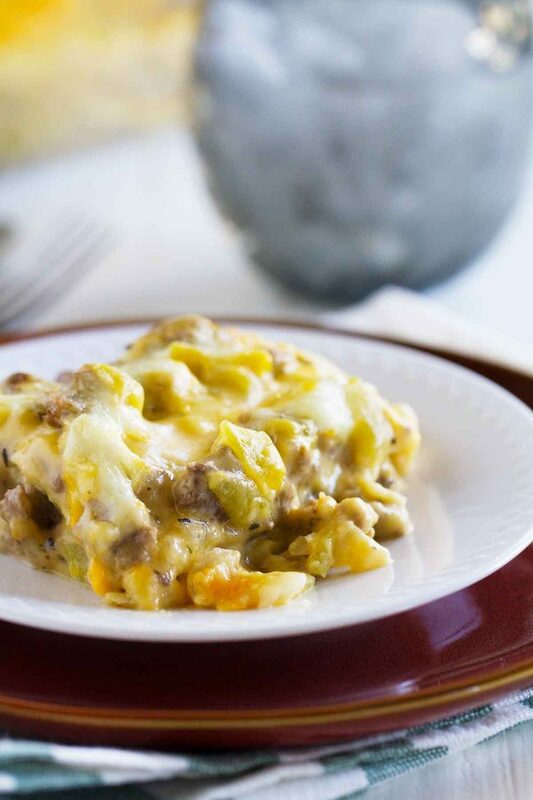 Comforting and creamy, this Green Chile Casserole is simple to prepare and reminds me of home. I spent the first 18 years of my life in a smallish town in New Mexico. And if you’ve been to New Mexico, you know that green chiles are a regular occurrence. I remember all the time in the summer, you’d find these huge roasters in front of different stores where you could buy freshly roasted green chiles. I can still remember that smell like it was yesterday, and I haven’t lived there for many years now. So I really have a special place in my heart for anything with roasted green chiles in it. I actually found a version of this casserole in a family cookbook. I almost passed it over because of the cream of chicken soup – since I’m not a huge fan of the “cream of” soups. But I decided to go for it, and I’m so glad that I did, because I loved this casserole. This definitely brought back a little bit of New Mexico to me! In a saucepan, combine the soup, milk, and the 3/4 of the cheese, reserving the remaining 1/4 for topping the casserole. Once the cheese is melted, stir in the green chiles. In a skillet, brown the beef with the onions. Add in the oregano, garlic powder and salt. In a well greased 9×13 casserole dish, layer half of the tortilla strips. Spread 1/2 of the beef mixture on top, followed by 1/2 of the cheese mixture. Repeat layers. Sprinkle reserved cheese on top. Bake in preheated oven until heated through and cheese is melted, about 30 minutes. Let the casserole sit for 10-15 minutes before serving if you want the slices to hold together. This sounds great! Makes me want to go to NM this summer! your recipe AND pics are great! 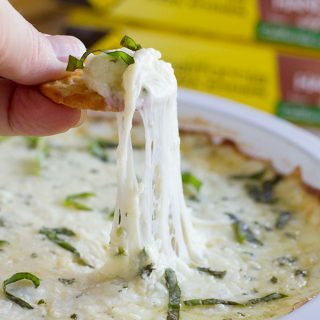 Looks creamy and cheesy! Yum!! This looks like a recipe a friend made me after I had my first baby. I never did get that recipe from her and have moved twice since so I’m excited to try this! Thanks. It’s fine in moderation girl, this is up my flavor alley. This is a fabulous dinner idea! Love this. There are just some childhood food memories that can’t be replaced, even if that requires cream of chicken soup! This casserole sounds delicious! This is almost exactly like a recipe that my family has too, but we call it Warrior’s Casserole. It’s one of my favorites. Looks good! Dried or fresh oregano? I wonder if chicken would be an alright substitute for the beef? Sounds really good. Katie – I bet chicken would be delicious! This sounds soooo good. 🙂 I’ll have try it soon. Thanks. This looks so tasty! I’ve never had Green Chili Casserole but am a sucker for comfort food, and this looks like it will fit the bill. Thanks for the recipe! 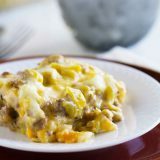 With chicken it is great, shredded chicken is typical for green chile enchilada casserole in NM, ground beef is more rarely used. I prefer pan frying the corn tortillas in a little bit of oil before using them in the casserole, for some reason frying the corn tortillas really brings a depth of flavor and keeps them from getting so mushy. fabulous. i like the cheeses you chose, and the end result looks magnificent! We had this for dinner tonight and it was super good!!! YUMMY! Thanks for my brand new go-to casserole!! Perfect! I only have flour tortillas on hand and wondered if that would work. Growing up in the Texas Panhandle, my grandmother would make us her famous Dorito Casserole… which is very similar to this recipe. She added Cream of Mushroom soup and taco sauce to the sauce pan. I’ve added different ingredients to it over the years. Like olives. It’s always been great comfort food. Made this casserole last night. Was awesome. I didn’t have cream of chicken soup, so I used mushroom soup. I also added 1 can mexi corn. To serve I added a dollap of sour cream. Defiantly a keeper recipe. Yumm, thanks for sharing. Making this for dinner tonight! My husband grew up with authentic Hispanic dishes in So. Cal. I’m excited to give it a try in MT! This sounds a lot like a recipe my mother got from a new friend when she moved to Texas from the Midwest. I loved it, but lost the recipe. This sounds a lot like her recipe, other than hers called for Doritos. I’m making your recipe now. Smells great and probably better with corn tortillas rather than Doritos. I used 1/2 medium cheddar and 1/2 pepper jack. I frequently make a variation of this recipe…it’s a popular NM potluck dish. It’s so yummy and creamy. We love “cream of” soups. I will sometimes use cream of mushroom soup, which is super yummy, too. 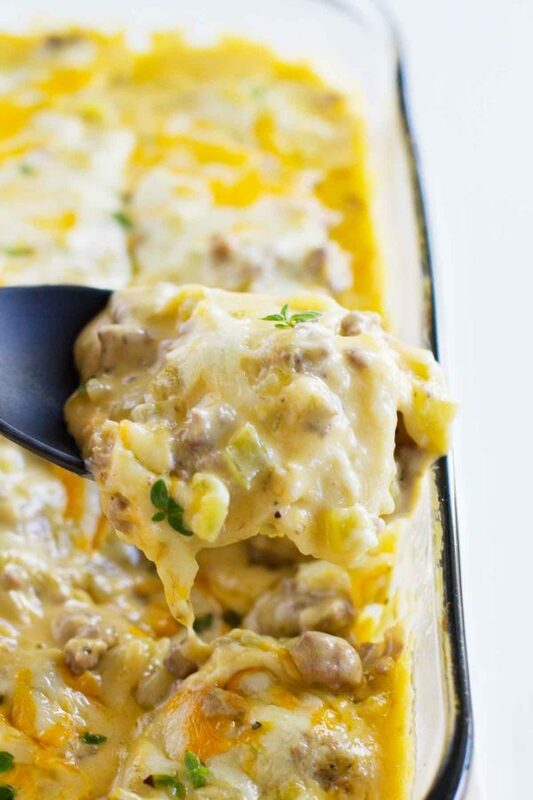 There’s something about casseroles and comfort. Right now is “roasting green chile time”…everywhere you go you can smell green chile. 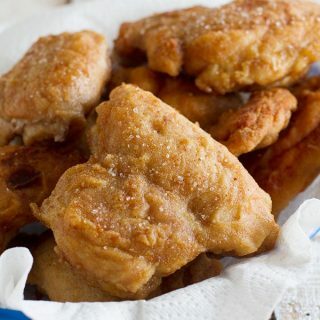 Thanks for sharing your fond memory of NM and this yummy recipe! This sounds great I am trying it tonight, but there are 2 places in the recipe that I have a tablespoon of Oregano. Is that correct? I really enjoyed this and so did my teenagers. I will use a bit less oregano next time, but that’s just my personal taste. I also mixed sone black beans and white sweet corn in with the beef mixture. Turned out really nice. This one is definitely going on my dinner rotation list. So easy ajd almost no prep time, and it seems that the possibilities are endless to vary the recipe with different spices and veggies. Thanks for posting this! 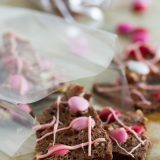 I am looking forward to trying more recipes from this blog. I’m so glad you and your family enjoyed this! 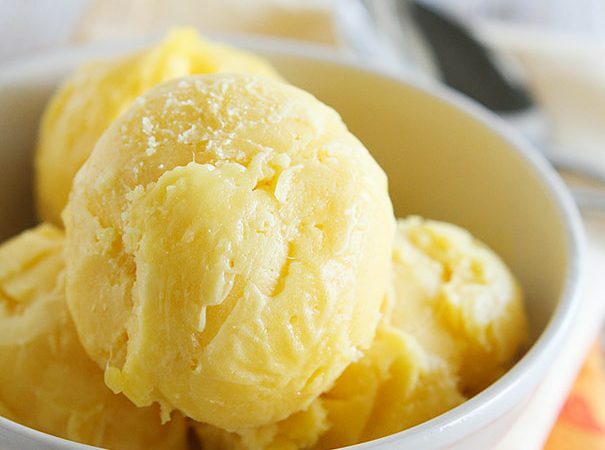 Can this be made ahead and froze? That sounds like a great recipe but it sounds like an awfully lot of oregano. How would it be if I left it out? Or do you think it makes the dish? 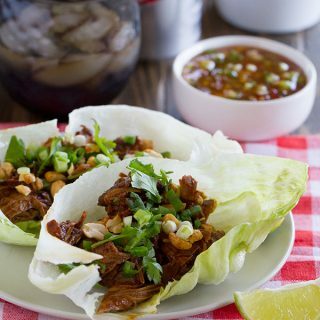 Would this recipe work if I used wheat tortilla? Or would it be too mushy? This recipe sounds so good. Thanks!! I haven’t tried it with anything but corn tortillas, but I’m guessing it would work. It might be a little more mushy than the corn, but I’m guessing it shouldn’t be that bad. Cream of chicken soup AND ground beef? No thanks. I’ll use cooked cut up chicken. Could you use flour tortillas instead? I have not tried it with flour tortillas, but I am guessing it would work. 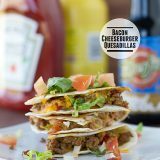 It works very well with flour tortillas… yum! 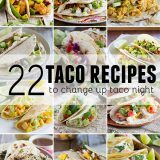 I’m glad to know that it worked well for you with flour tortillas! Hey, Deborah! 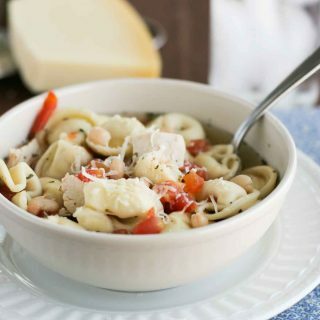 What size can of soup do I for this recipe? What if it goes I the fridge for a few hours so I️ can work and hubby start it before I️ get home? How long would I️ cook? I would probably just add on an extra 5 or maybe 10 minutes to the baking time.